Topcon Positioning partnership with VMT to introduce the all-new modular Topcon Delta product portfolio. Topcon Delta is the result of a partnership formed between Topcon and deformation monitoring and tunneling specialist VMT GmbH. 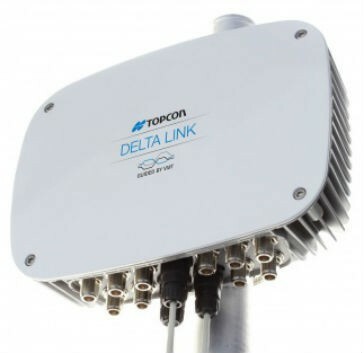 The partnership is designed to bring the fusion of each company’s respective products and technologies to provide customers with a complete monitoring solution, which will be distributed globally by Topcon. With headquarters based in Bruchsal, Germany, and subsidiaries located in Shanghai, Moscow, Melbourne and Seattle, VMT GmbH is a global leader in high-precision measurement, specializing in tunnel guidance and communication, deformation monitoring and industrial measurement. VMT GmbH, formed in 1994, has provided products, solutions and expertise to thousands of projects worldwide. VMT GmbH is part of the Herrenknecht Group, the worldwide market leader in mechanized tunnelling technology. “We are pleased to be able to partner with Topcon to bring our market leading solutions to a wider customer base via Topcon’s global distribution network,” said Alexander Seilert, VMT GmbH general manager.